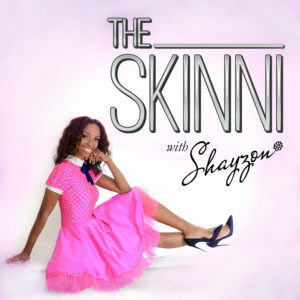 In this episode of “The SKINNI,” Style and Beauty Expert, Host, and TV personality Shayzon interviews NYC-based stylist Chaunielle Brown. Chaunielle has styled several celebrities, including the infamous “no makeup” shoot with Alicia Keys with Fault Magazine, as well as editorials, cat walks, and campaigns for Vogue. Both bonding over their love for the beautiful island of Jamaica (Shayzon’s first home), they chat about everything fashion, lifestyle, and more. Great show with a lot of wonderful ideas, especially with the sneakers.